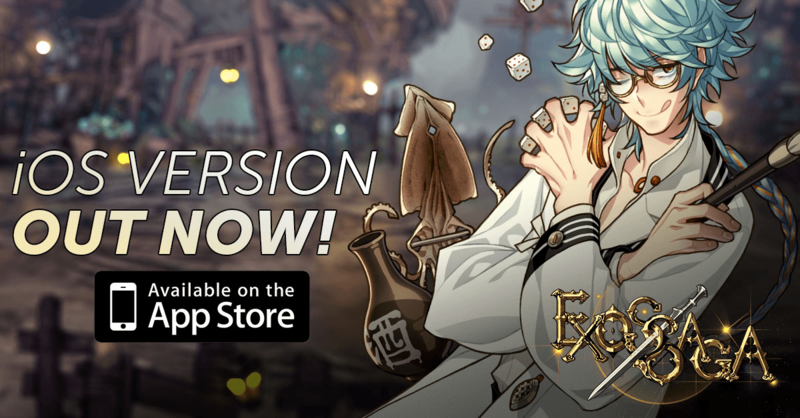 Fantasy action RPG epos Exos Saga with its incredible art style designed by Ragnarok Online artists SR and Sinbaru reached two important milestones this week: Eyedentity Mobile just announced that over 1.5 million players have downloaded the Android version in just 4 weeks and that the iOS version has just been released on the App Store worldwide. On top of this, Eyedentity Mobile released a big Android update with a brand-new guild system that rewards players for their clan loyalty as well as two cool new characters to celebrate the game’s huge success. While Liechtenstein is a hard as nails paladin that protects his weaker colleagues and whose past is shrouded in mystery, Mahar, the Gladiator hero, is the younger brother of Supraken, the monarch of Nospen Frost, and lost an arm when he battled his powerful and terrifying brother. Due to lucky circumstances, he survived the tragic encounter and fled to Tikkan, where he entered the army. Together with Kerri, he planned and executed a coup d’etat with far-reaching consequences.